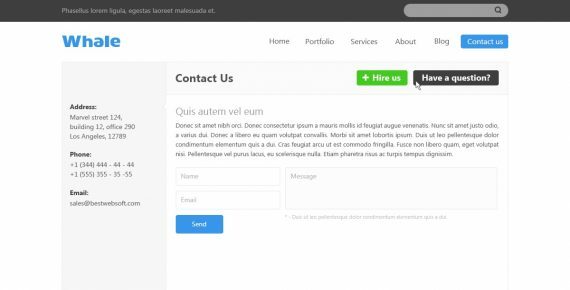 Perfectly stylish HTML template that will present your content in an utterly natural, stream-like manner. 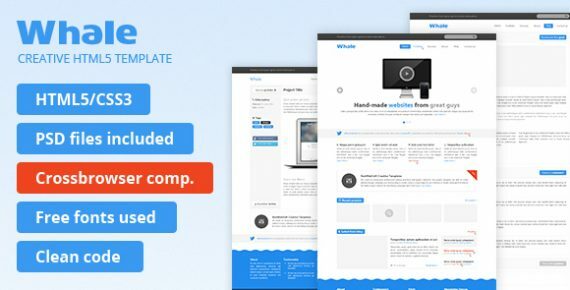 Whale is a creative HTML5 template which can be suitable for various categories of websites, and especially for corporate business, agencies or portfolios. 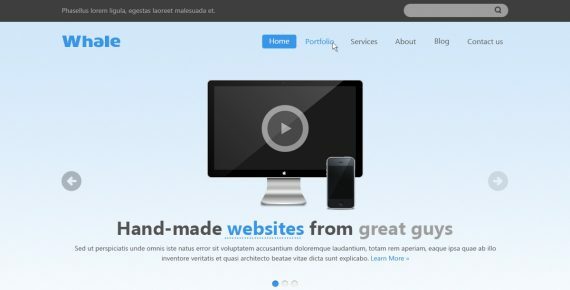 It was created using the latest design trends and graphic techniques. 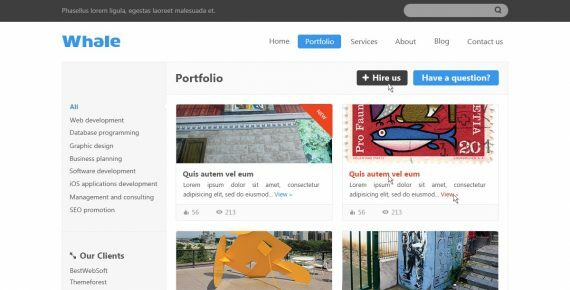 You can easily change the color scheme and the colors of separate graphic elements. Whale is based on the 960 grid system. 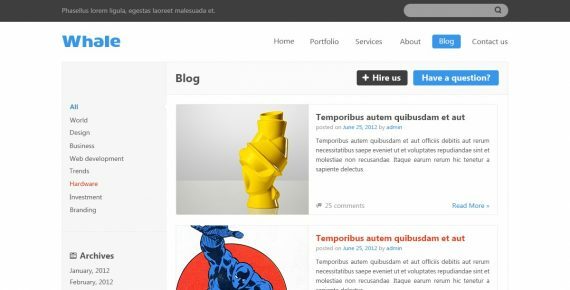 Moreover, you do not need to buy fonts, because only free fonts are used there. Let your visitors feel the enjoyable experience ща visiting your site they will hardly ever forget! Images used in the preview files are not included into the original release.